Gorgeous on greenbelt! Sought-after Scott Creek location. Surrounded by nature yet near all Amenities. 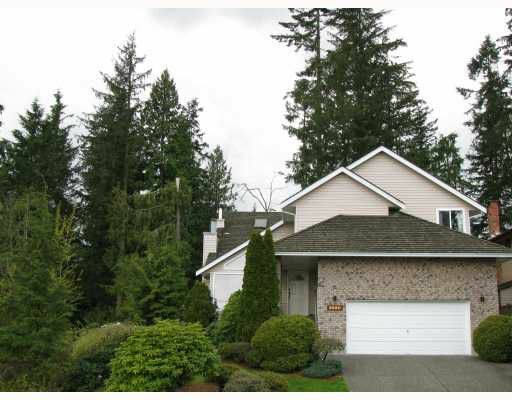 Custom home has a Mt Baker View & backs onto a tranquil Greenbelt setting. The level rear yard is a perfect blend of nature with itsnice landscaping & treed west-facing ravine. Unique open floor plan. Sunken Living Room has Vaulted Ceiling, Skylight, Gas Fireplace, Laminate Flooring & Mt Baker View. Spacious Kitchen opens to the large Family Room & overlooks the park-like rear yard. Dining Room has 2 storey ceiling & big Skylight. Massive Master Bdrm has Skylight & big windows that look into the trees. The Ensuite boasts a Jacuzzi Tub, Skylight, Glass Shower & 2 sinks.